[SatNews] Rockwell Collins has unveiled the Joint Terminal Attack Controller—Mobile (JTAC-Mobile) product, a new lightweight, tablet-based software application designed to support forward deployed JTAC personnel. JTAC-Mobile makes its debut at the 2014 Bold Quest 14.2, a two-week Joint Staff-led coalition demonstration beginning May 2 involving air combat assessment, joint fires, maneuvers and system concepts. Participating nations include Australia, Belgium, Canada, Germany, Denmark, Finland, France, United Kingdom, Netherlands, Norway, Sweden and the United States. 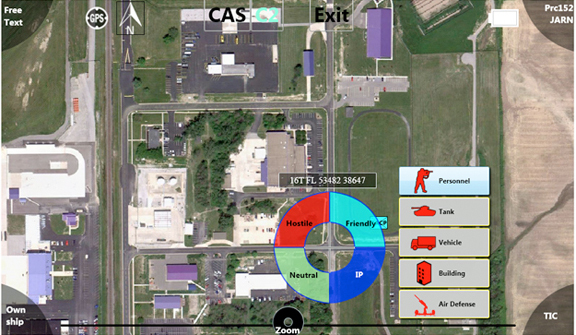 JTAC-Mobile features “a self-learn capability” for data link interaction, which eliminates the need for inputting network addresses, IP numbers or other complexities that make digital systems difficult to utilize. Rockwell Collins has a significant pedigree in joint fires and effects by being the company responsible for Tactical Air Control Party Close Air Support System (TACP-CASS) fielded in the United States and the FireStorm joint fires integrated solution fielded as the primary JTAC solution in seven nations. FireStorm and TACP-CASS both have been utilized in combat operations since Gulf War II in both Afghanistan and Iraq. For further information, please access this direct infopage link.